It is now clear to us that if we do not expect any moisture to move from or to aggregate, the pores in it must be filled with water. But in some cases surface moisture may remain in aggregate which may contribute to water in concrete mix. These surface moisture also sometimes results volume change of aggregate mass. 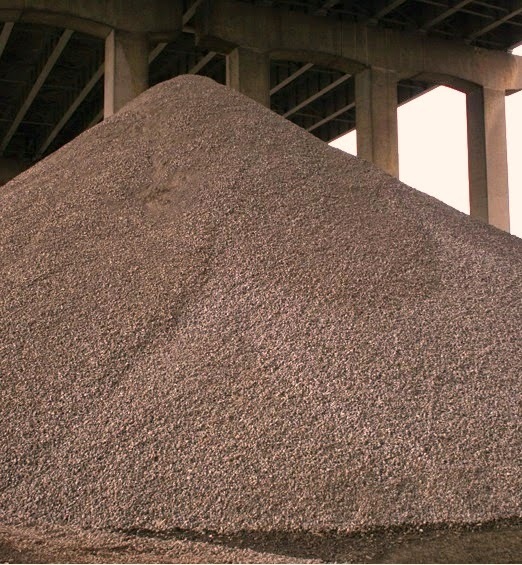 So as discussed in previous posts, the basic/ideal state of aggregate is saturated and surface dry (SSD). Now how surface moisture is introduced to aggregate? The natural causes are moisture introduction by many natural process like rain, dew etc. when aggregates remain exposed to rain they collects significant amount of moisture on their surface after being saturated. This surface moisture remains for long period except on those on the surface of stockpile, we are considering. This phenomenon is very common for fine aggregate. Surface moisture is often called free moisture. Obviously this surface moisture should be considered in mix proportioning by allowing them for in calculation for quantities in batching. As discussed above, fine aggregate can retain free moisture of greater than 10 percent. This value is quite negligible in case of coarse aggregate; about 1 percent. This surface moisture is expressed as a percentage of SSD mass of aggregate. Dear reader we will discuss about bulking of sand mass of aggregate. Dear reader we will discuss about bulking of sand due to moisture content and its effect on concrete properties.